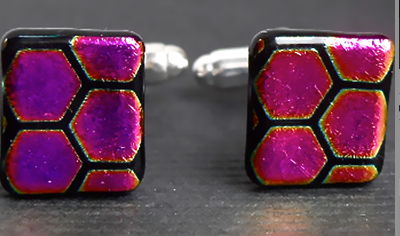 for the new items I've added. 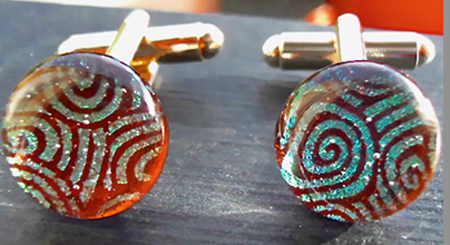 As you can see, there are earrings, pendants, bangles. All the pieces come in Black or Silver card gift boxes. 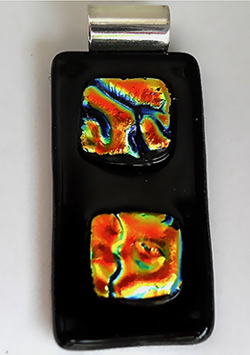 An arty looking pendant. 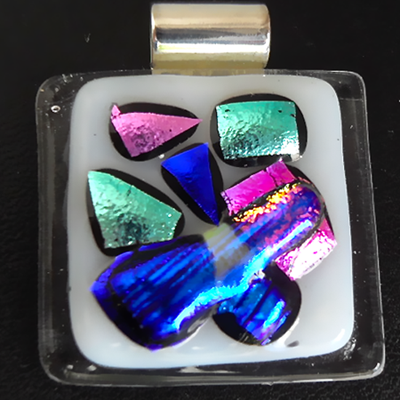 A White base with pieces of Pink, Cobalt Blue and Pale green Dichroic glass. 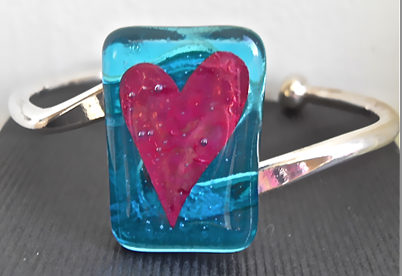 A lovely silver plated adjustable bangle made of translucent Turquoise glass with a copper heart fused inside. 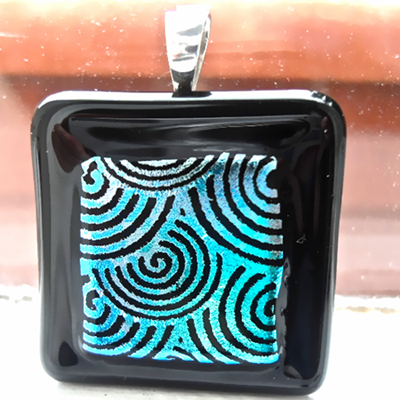 Beautiful Teal, Blue and Green abstract pattern on Black Dichroic glass pendant. 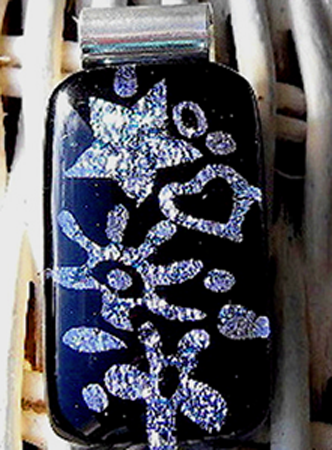 This is a statement piece - very dramatic and unusual large pendant. 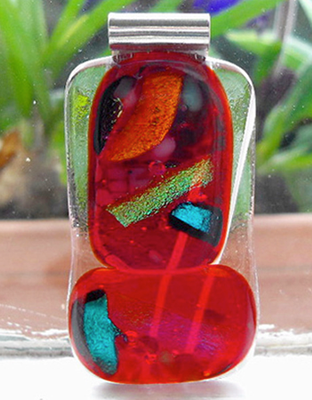 Red with Green, Blue and Orange Dichroic pieces on a clear base. 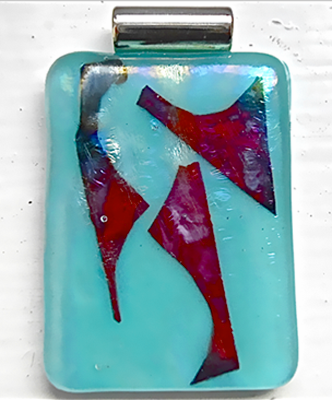 Bright Red pendant with an abstract design piece of copper sheeting fused into it. 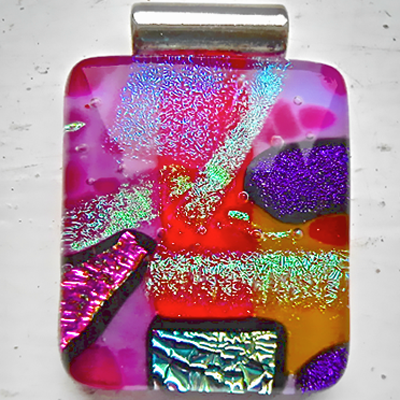 This arty looking fused glass pendant is predominantly Pink and Purple with lots of other colours added. 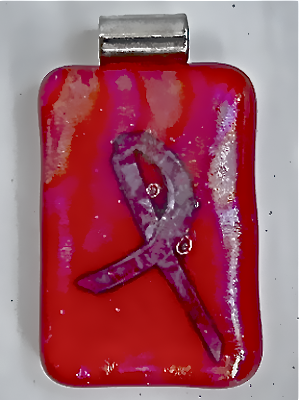 A pendant with a Black base and accents of Gold/Red textured Dichroic glass. 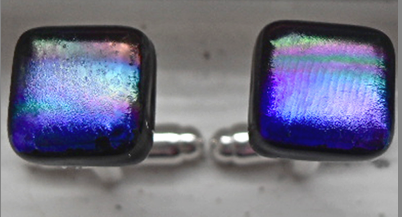 There are matching stud earrings and a ring. 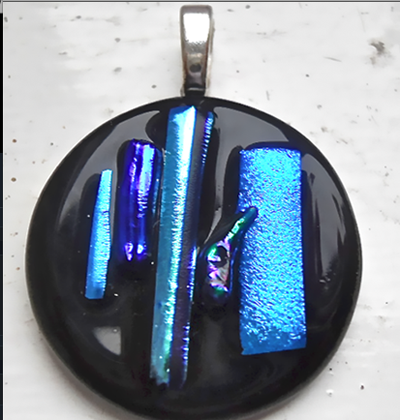 Quite striking looking pendant. 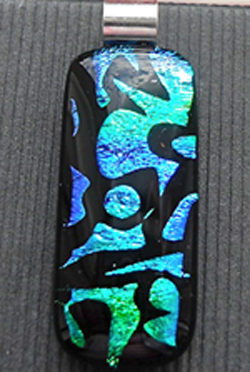 A black background with a big piece of Bluey/Green patterned Dichroic glass. 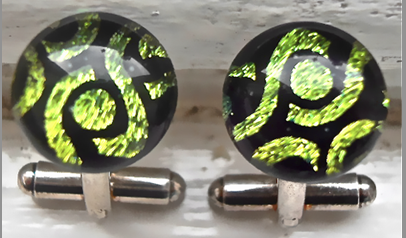 These cufflinks have a Goldy Green pattern on Black Dichroic glass. 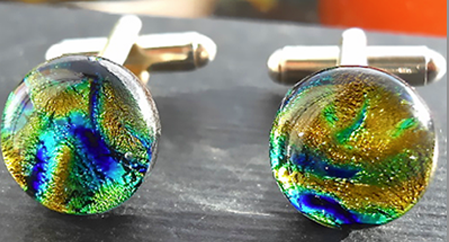 These cufflinks are Greeny/Gold Dichroic glass. 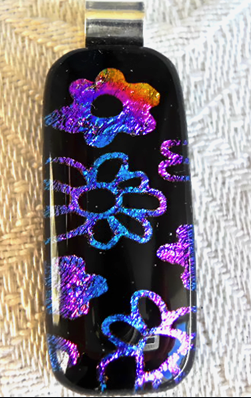 One of the new design bangles I've added. 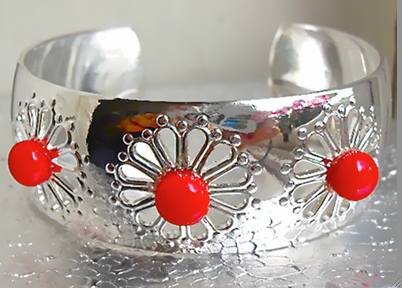 A broad plated silver bangle with three pieces of bright Red glass attached. 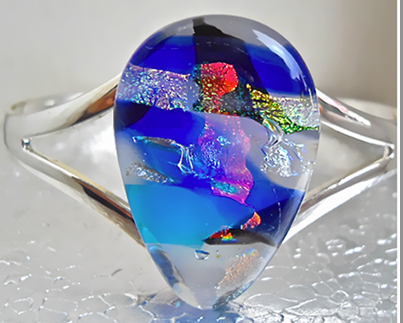 A new design bangle. 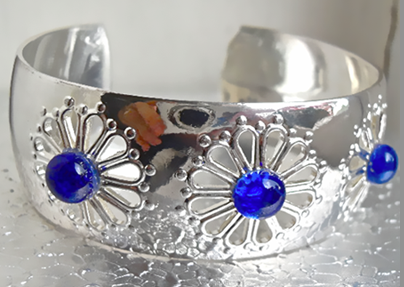 It's a broad plated silver bangle with three pieces of bright Blue glass attached.